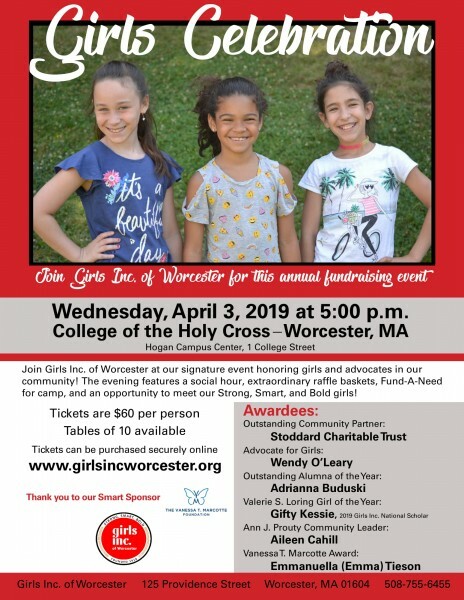 Join Girls Inc. of Worcester at our signature fundraising event, honoring girls and advocates in our community! The evening will include a social hour, raffle baskets, Fund-A-Need for camp, and the opportunity to meet our Strong, Smart and Bold girls. Download more information here. Robert P. Powers Insurance Agency Inc.